New for 2018, Babolat introduces an innovative bag which can be as big or small as you need it to be. The Expandable Team Bag can be utilised to fit as few as 3 rackets and can expand to hold as many as 10 rackets. It features two compartments for rackets, with an internal separator in each compartment. There are 3 separate zippers which if unzip can expand to be as big as a 10-pack bag. The exterior of the bag has two accessory pockets, one on each side and there are adjustable, padded shoulder straps on each side of the bag that can be worn as backpack straps or thrown over your shoulder. The Dunlop Elite 2 Comp Racquet Bag is ideal racket bag and weighs 1.49kg. It has dimensions of 74x21.5x30cm. It is made from polyester. It comes with adjustable padded straps. The shoe compartments are ventilated. The pockets have side pocket and inside pocket. This Djokovic backpack is a versatile one perfect for a quick trip to the courts or wherever your day takes you. Backpack straps keep it tight to your body, a padded racquet compartment protects your racquet and the main compartment offers enough room for everything you need on a practice court or at school. For the player looking to travel light, the Tour Team Backpack is a great option. The front main compartment has tons of room for everything you would need for the day, while the rear compartment is great for storing a couple racquets. There is a ventilated pocket on the bottom which is perfect for keeping shoes or dirty clothes separate from the rest of your gear. Backpack with large interior, front pocket with organizer, wet or shoe compartment, bag for rackets or laptop, outer compartments for beverage bottles, padded back and shoulder straps. Large Thermobag for squash, badminton and tennis rackets. It provides two large internal compartments. Two exterior side pockets. Padded back and shoulder straps. The Prince Tour Team Back Pack brings a fresh look and feel while also staying practical and functional. Players can clearly tell at first sight that this bag has loads of space. 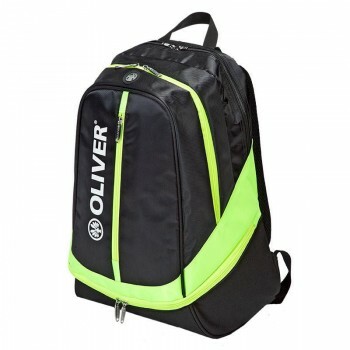 This back pack is capable of carrying up to 2 rackets and gives room for any other valuable you might have in store. The Wilson Federer Team Tennis Backpack in Black is the perfect bag for your tennis gear needs. It has plenty of space to store 2 racquets, a large compartment to hold apparel and shoes, and a large pocket to store all of your tennis accessories and equipment. There's also a small accessory pocket to hold your personal belongings and valuables. This Black and Red 3 pack tennis bag has everything a tennis player could want or need as they travel to and from the court with one affordable bag. Wilson designed this bag to accommodate up to 3 uncovered racquets, plus players will enjoy easy-access accessory pockets to store all of your valuables while you hit the court. This Tennis Bag brings value and style to Wilson's bag collection. This Black and Red 6 pack tennis bag has everything a tennis player could want or need as they travel to and from the court with one affordable bag. 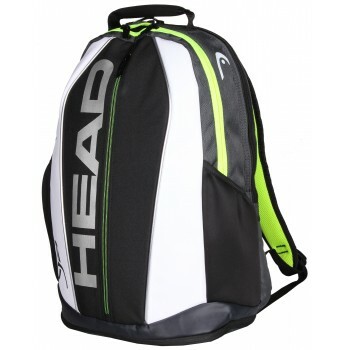 Wilson designed this bag to accommodate up to 6 uncovered racquets, plus players will enjoy easy-access accessory pockets to store all of your valuables while you hit the court. Arrive to the courts prepared with the Team III 12-Pack . 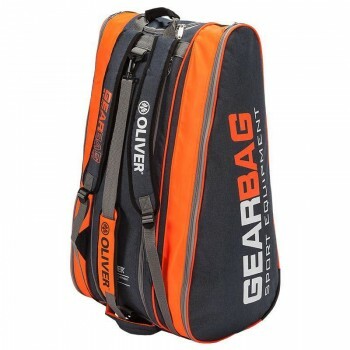 An excellent choice for the prepared tennis player looking to bring lots of gear to the courts, this bag has three large main compartments which together can hold up to 12 racquets total, one of which features Thermoguard lining to keep your gear protected from extreme temperatures.